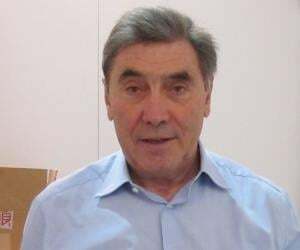 Eddy Merckx is a former professional bicycle racer from Belgium. Check out this biography to know about his childhood, life, achievements, works & timeline. Eddy Merckx is a former professional bicycle racer from Belgium. 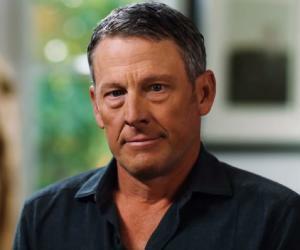 A sports enthusiast from childhood, he began cycling from a very early age. Eddy Merckx began amateur bicycle racing at the age of 16 years and turned professional at the age of 20. During his cycling career, he earned the nickname’ The Cannibal’ owing to his insatiable appetite for match victories. He won almost every race he participated in during his career that spanned across 13 seasons. Post retirement, his passion for cycling motivated him to start his own bicycle brand chain by the name ‘Eddy Merckx Cycles’. This Belgian cycle brand is considered one of the most prestigious brands in the world. Eddy Merckx has also coached various professional cycling teams after his retirement. He was instrumental in organizing bicycle races like the Tour of Oman and the Tour of Qatar. Eddy Merckx is a co-owner of these bicycle stage races. Eddy Merckx was born on 17 June 1945, to Jennie Pittomvils and Jules Merckx, at Brabant, in Belgium. When Eddy was a year old his family moved to Brussels in Belgium. Eddy Merckx has a younger brother Michel and younger sister Micheline. Eddy Merckx is known to have had an active childhood and he was involved in a variety of sports like boxing, football and so on. He began cycling at the age of three or four and procured his first racing license in the year 1961. He began focusing on cycling rather than attending school; eventually dropping out of school to pursue his passion of cycling. Eddy Merckx began amateur bicycle racing in 1961 upon getting his riding license and he completed sixth in his first race. He competed in twelve other races that year and he won his first race at Petit- Enghein on October 1961. Later on that year, he went on to train under former bicycle racer Félicien Vervaecke. In 1962 he had his second victory at the Kermesse; during this year he competed in approximately 55 races and won the Belgian amateur road race title. During that season he had almost 23 victories. In 1964, he was selected for the Summer Olympics for Men’s Road Race and finished in the twelfth place. 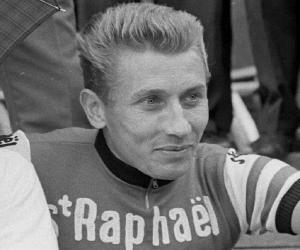 Later on in 1964, he won the amateur road race at the UCI Road World Championships in Sallanches, France. Eddy Merckx turned professional in April 1965 and signed with Rik Vann Looy’s Belgian team, Solo-Superia. During his stint with Solo-Superia he contested in approximately 70 races of which he won about 9. He soon signed up with the cycling team Peugeot-BP-Michelin and made his professional racing debut as a professional rider in 1966 at the Paris- Nice cycling stage race. During that year he was part of multiple cycling stage races like the Tour of Flanders, Milan-San Remo, Paris-Roubaix, Tour of Morbhihan and the 1966 Union Cycliste Internationale Road World Championships where he finished twelfth. He won a total of 20 races during this season. In 1967, Eddy Merckx had several victories beginning with two stage wins at the Tour of Sardinia. He also got a stage victory at the Paris-Nice stage race that season followed by overall race victories at the Milan-San Remo race and at the La Flèche Wallonne. Eddy Merckx began his first Grand Tour with Giro d'Italia and he won several stages, subsequently earning a ranking of 9 by general classification. He also took part in the UCI Road World Championships in Netherlands and secured first place thereby gaining the right to wear the prestigious rainbow jersey upon becoming world champion. In 1968, he received his first stage victory at the Tour of Sardinia. However, a knee injury prevented him from winning and participating in races like the Paris-Nice race, Milan-San Remo and Tour of Flanders. Later, he also won the Paris-Roubaix race. Once again in 1968, Eddy Merckx attended the Giro d'Italia race instead of the Tour de France and won the race according to both standards i.e. points as well as mountain classification. He had 32 victories that season. Eddy Merckx began 1969 with overall race victories at the Paris-Nice and Vuelta a Levante stage races. His won Tour de Flanders, Milan-San Remo and Liège-Bastogne-Liège. During May 1969, he began the Giro d'Italia race and won 4 stages when he was disqualified along with being suspended for one month for failed a doping test. However, the cycling governing body (FICP) cancelled the suspension later and he finally finished with six stage wins and won the award for most aggressive rider. His other victories in 1969 include Paris-Luxemborg stage race. He also participated in a multiple race event in Blois where each rider was accompanied by a pacer on a derny. Fernand Wambst was his pacer. An accident occurred during the race due to collision between Fernand Wambst, another pacer and Eddy Merckx. While Wambst died in the accident, Eddy Merckx had to be hospitalized returned to racing temporarily in October. He later left to recuperate. He began 1970 with victories at the Paris–Nice stage race, Gent–Wevelgem and Tour of Belgium. Eddy Merckx also won the Belgian National Road Race Championship that year with 8 stage winnings, along with mountain and combination classifications. The same year he also participated in the Giro d'Italia. Eddy Merckx became the third person to win the Giro and Tour de France in the same year. In 1971, his initial major triumph of the year came in Giro di Sardegna by riding solo. This was followed by a victory at the Paris–Nice stage race, the Omloop Het Volk and at the Tour of Belgium. Eddy Merckx participated in the Tour de France in which he won several stages and overall. The same year he won the UCI Road World Championships held at Switzerland the second time. In 1972 Eddy Merckx broke the world hour record at Mexico City with a distance of 49.431 kilometres (31 miles). In 1973, Eddy Merckx chose to race the Vuelta a España and the Giro d'Italia, instead of Tour de France and won both the titles that year. He is the first rider to achieve this feat of winning both titles the same year. Other victories that year include the Grand Prix des Nations and the Paris–Brussels race. He had more than fifty victories that season. In 1975, he won the Liège–Bastogne–Liège ,Setmana Catalana de Ciclisme, Milan–San Remo and Amstel Gold Race. However in 1975, he finished second in Tour de France. It was the first time he had lost a Tour. In 1976, Eddy Merckx celebrated his record of seventh victory at the Milan–San Remo. He also won at the Catalan week. However, he got injured during the last stage and this held him back from many victories that season. 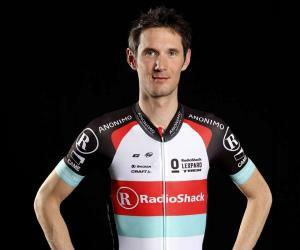 Other tournaments he participated that season were the UCI Road World Championship where he finished fifth and the Super Prestige Pernod International. The same year Molteni ended sponsorship of his team. In 1977, FIAT became the new sponsor of Eddy Merckx’s team and he began the season with winnings at the Tour Méditerranéen and Grand Prix d'Aix. He also participated in the Tour De France finishing in the sixth position overall and racing at the UCI Road World Championships. In September he finished the year with a victory at the Kermis race and the end of 1977, FIAT ended their sponsorship. In 1978, he participated in five races and his last victory was a omnium race at Zurich in February. Eddy Merckx announced his retirement from bicycle racing in May 1978 as per his doctor’s advice. 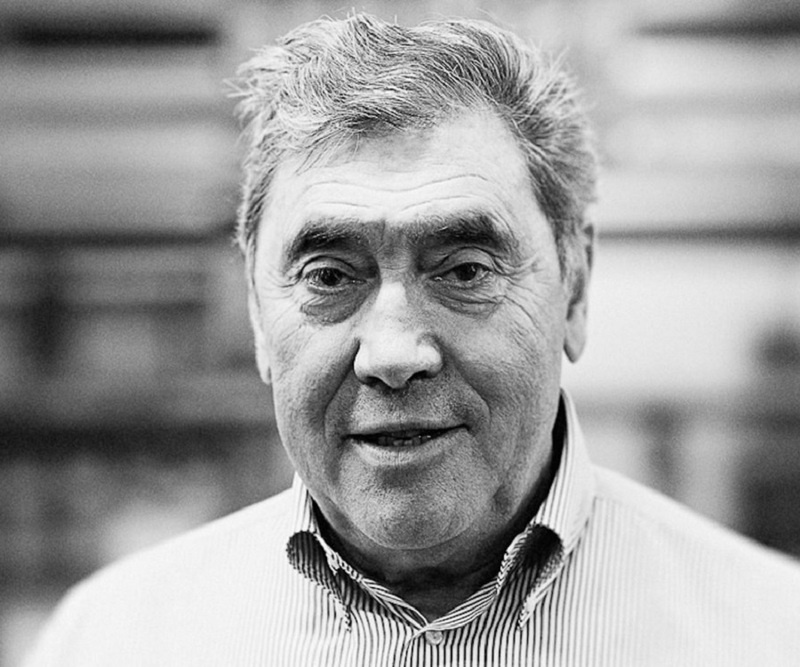 Post retirement, Eddy Merckx kept his passion for cycling alive by founding Eddy Merckx cycles in 1980. In 2008 he left his position as the CEO but is still associated with the brand. Eddy Merckx Cycles is known to be an elite chain and distributes across 25 countries. Between 1986 and 1996, he managed the world championships for the Belgian national team. Eddy Merckx was instrumental in organizing the Tour of Qatar in 2002 which he also co–owns. He also co-owns and organizes the Tour of Oman road bicycle racing stage race. Eddy Merckx is known to be an iconic figure in the world of bicycle riding and cycle racing. He has dominated the sport for over ten years and was rightly referred to as ‘The Cannibal’ and ‘Cycling God’. Eddy Merckx has to his credit 5 Tours De France, 5 Giro d’Italias, 3 World Championships, and 7 Milan–San Remos among his major victories. 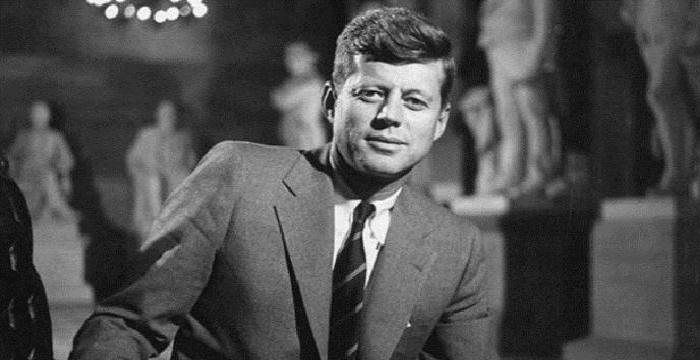 He has a total of 525 victories, which is unequalled record. He has also the credit of breaking the World Hour Record with an unparalleled record distance of 49.431 km. Eddy Merckx married Claudine Acou, daughter of the trainer of the national amateur team, on 5 December 1967. The couple had a girl named Sabrina on 14 February 1970 and a boy named Axel Merckx on 8 August 1972. Axel grew up to become a professional cyclist.